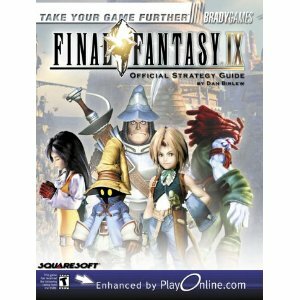 This guide for FFIX shows a large banner about playonline.com. Basically, the entire book referenced the player to the website. In the PS1 era, some games had obscure secrets. Guide books were very popular, and some game stores made a lot of profit on them. Early GameFAQs FAQs were annoyed to find their data showing up in these hurridly written books. For example, a Grandia guide book had times and tips from an early GameFAQs FAQ. In the case of Final Fantasy IX, the guidebook literally referenced you to a website for almost every section of the game. It seems now, that there’s a strong prejudice against games that require a FAQ. Some people say this is purely due to OCD obsessions, however, it can’t hurt to lay out why people are annoyed. First of all, if you can’t get a satisfying ending via logical choices, then the game requires a FAQ for catharsis. A good example of this is Valkyrie Profile. While the good ending involves some logical things happening, it’s not that hard to accidently lock yourself out of the good ending. Some games lock away easily getting equipment via some obscure means. Every single discussion of Final Fantasy XII brings up a certain spear. To find this spear, you either need to constantly check a specific chest which rarely has the spear. The other option involves never opening a certain set of chests in a very early area, and then checking them later in the game. The spear had thematic links to the game world, but didn’t have the best stats. Still, it infuriated people because the rules for not getting it were so arbitrary. Obscurity is a common reason for people saying the game is “FAQ required.” SaGa games and their frequently elaborate and complex systems means that you either need a FAQ or need to be willing to have a perplexing and needlessly hard time in the game. Some quests in Etrian Odyssey involve either hours of searching, or a FAQ. Since the rewards are so low in the first game, most people suggest just using a FAQ or not doing the quests. Another reason for fury is wasted time, or bad time limits. If something is worth doing, but you need to restart the game to be able to do it, people are annoyed. If something is worth doing but you have to do it at exactly the right time, people are annoyed. If a specific story path is objectively worse than another one, people are annoyed. Juvei Quest has maps what show an X on something interesting. Sometimes, it's pretty obscure to find out how to get a map. Vagrant Story is a game where you REALLY REALLY DO NEED A GUIDE to some extent because it’s easy to get lost, futz a block puzzle, and get kneed in the goods by a zombie whilst Sydney laughs at you somewhere. The weapon-forging is…borderline intuitive but there’s a lot of trial and error and AUGH involved, because you CAN combine two weapons with decent stats and get a worse one. And then there’s certain bosses that penalize you for your Risk score. AAA. Yeah, that one needs an FAQ. When you mentioned SaGa games the first one that came to mind was Frontier and Asellus’s different endings. 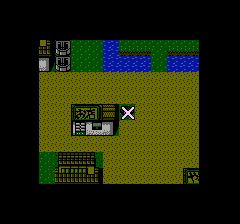 Unlimited Saga has this weird “combine Mullet” (only pops up early in the game) with a – quartz thing? I think it’s quartz to get another mullet, and then that level 2 mullet (still called a mullet) makes the best kind of weapons when combined with other weapons. So – you’re obsessively massaging fish. It’s – bizarre.